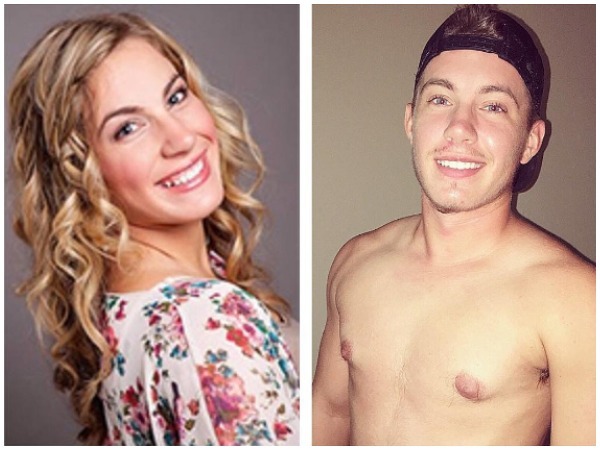 Transgender male, Jaimie Wilson took the internet by storm when he documented his incredible transition from female to male. Jaimie Wilson took the internet by storm when he documented his incredible transition from female to male. The 20-year-old country musician, from Ann Arbor in the United States, lived as a woman for 18 years before coming out as transgender and going through a full transition. On Instagram, he shared how people didn't believe him when he came out because of how "feminine" he was as a woman. "When I came out people refused to believe I was a man because of how ‘feminine’ I presented for 18 years," he wrote in a caption. "So why am I posting this comparison? Because I want people to see it doesn’t matter what some looks like... if someone has the guts to tell you ‘I’m transgender’ ‘I’m gay’ ‘I’m bisexual’ anything like that please believe them and be there for them because stereotypes need to be broken." Jamie has shared his breast removal recovery on his Instagram and also documented his voice change through a period of three months. Since coming out and sharing his story, Jamie has received many messages of encouragement and people have been inspired by his story. Unfortunately, his loved ones were not as supportive of his decision. "Coming out as transgender was the best and worst day of my life thus far. "